Cards will be restored to people who have serious medical conditions but lost them under a HSE review. THOUSANDS OF DISCRETIONARY medical cards will be restored to those who have a serious medical conditions and lost them during an eligibility review by the HSE. The decision was taken by the government today during its weekly Cabinet meeting following a recommendation from Health Minister James Reilly. The decision will cover the period from 1 July 2011 to 31 May 2014 and will see the HSE write to those who lost their cards during that period to say their eligibility is being reinstated. Up to 15,305 people are set to have their cards restored after the government accepted that the review produced “unintended consequences” where people with serious medical conditions had their cards revoked by the HSE. The HSE said in a statement that it will cost around €13 million to restore the cards with this money coming from the central government fund. The breakdown of cards that are expected to be restored include 7,118 people who will move from a GP visit card back to a medical card; a total of 5,288 will have their medical cards restored; and some 2,899 will have their GP visit cards restored. Speaking on RTÉ’s News at One, Reilly said that the whole process should be completed within a three-week period and said those impacted don’t have to do anything. “They’ll get a note to say their card has been reinstated,” he said. 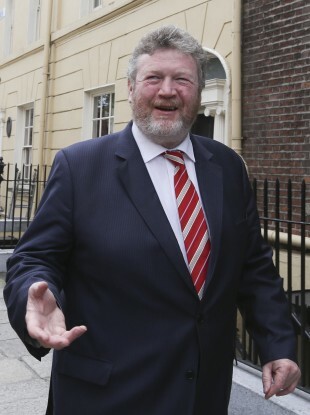 Reilly said “nobody in government” was happy that people were losing their medical cards and apologised for any upset caused to people. Today’s decision comes in addition to the establishment of an expert panel by the HSE to advice on the circumstances under which a person with a medical condition could qualify for a medical card for the first time. Up until now medical cards have been given out on the basis of financial need as distinct from medical condition. Email “Over 15,000 people are being given back their medical cards”. Feedback on “Over 15,000 people are being given back their medical cards”.